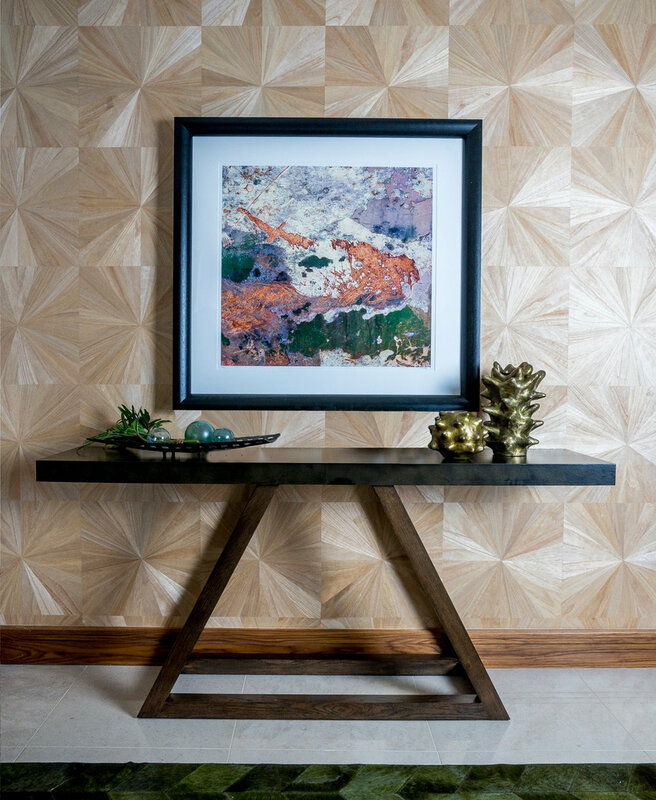 ￼In the entry, hand-laid wood veneer wall panels, in a sunburst pattern, by Maya Romanoff act as the perfect backdrop for a pair of golden bronze vessels by Patricia Roach and console table by Julian Chichester. A framed photograph by Rob Lang is from his Dry Dock series. 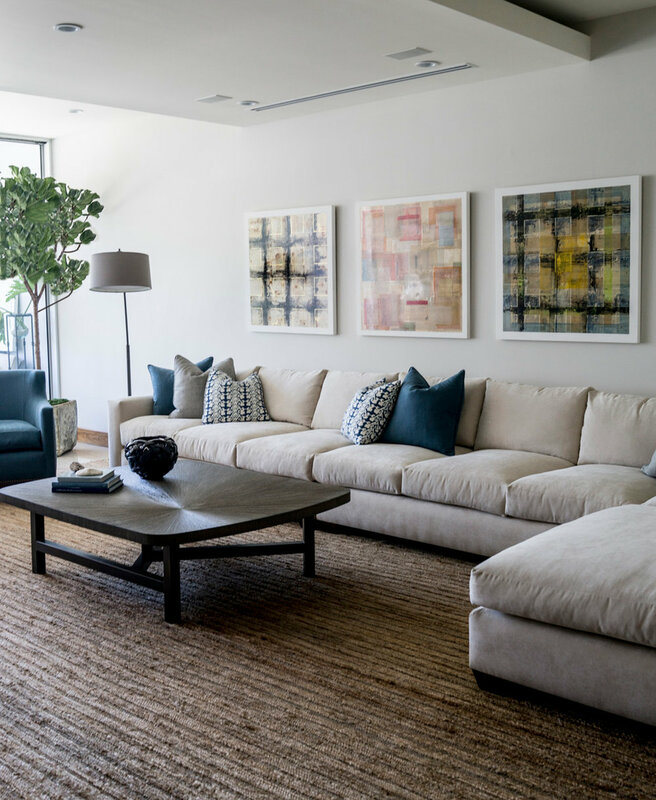 In the living room, a jute rug imported from India lays the groundwork for a large, custom-built sectional and chairs by Rags, and a show-stopping sunburst oak and ebonized metal coffee table by Jean-Louis Deniot that feels more like a piece of art than furniture. The tabletop sculpture by Alexander Lamont is inspired by woven bamboo. 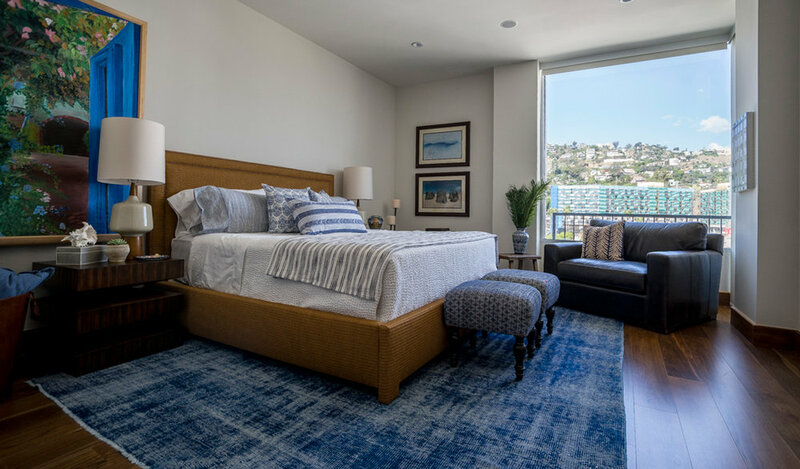 For the master bedroom, Hawlie chose a grasscloth wallcovering by Weitzner, a custom tufted bed by Rags, and custom nightstands by WestArt Woodwork. The rug is from Lawrence of LaBrea. Custom leather club chair by Rags sits next to a side table from Palacek. 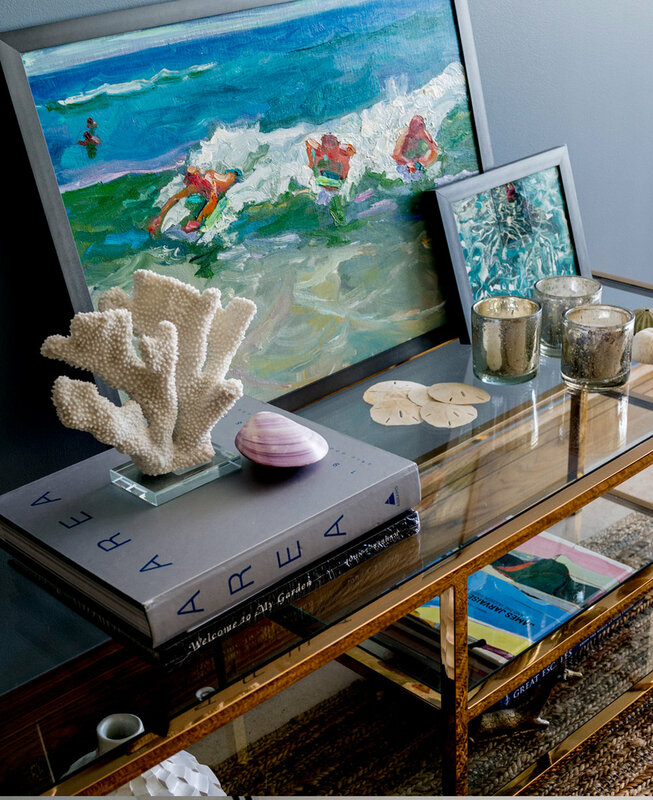 ￼The guest room is where Hawlie chose to emphasize more of a playful beach lifestyle with a custom Rags raffia bed, side table from Global Views, a Lawrence of LaBrea rug, and colorful art.